Incubating your own zebra finch eggs is definitely possible. Keep in mind that incubating zebra finch eggs is slightly harder than hatching chicken eggs, but it is definitely doable. You need to follow some tips very closely if you want to have a chance of seeing your zebra finch eggs hatch. Follow the tips listed below and you will be able to hatch your zebra finch eggs without a problem. 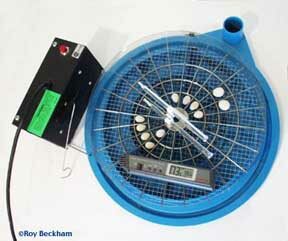 The most important part of incubating zebra finch eggs is to have the correct temperature in the incubator. Having a temperature that is too low or too high will devastate the eggs and stop them from hatching properly. If the temperature is too high then the chick will develop too quickly and quite possible die inside of the shell and if it does manage to hatch then it will most likely die quickly due to deformities. If the embryo develops too slowly then it may suffer from delayed hatching as well as physical abnormalities. In simplest terms, if the temperature is too hot or too cold then the zebra finch embryos will die. The temperature needs to be at a constant 99.5 – 100 degrees Fahrenheit to ensure that the embryos will healthily develop and hatch. Another crucial aspect of hatching zebra finch eggs is the humidity in the incubator. Once again just like with the temperature, the humidity needs to be near perfect to ensure that the eggs will hatch. If the humidity levels are too low then the egg will become dehydrated and the embryo may develop kidney and liver failure. On the other hand, if the humidity levels in the incubator are too high then the air cell in the egg will be too small and cause the oxygen levels to drop below sustainability. Too high of a level of humidity will also cause the chick to hatch with an exposed yolk sac, something that is very dangerous and often leads to death. 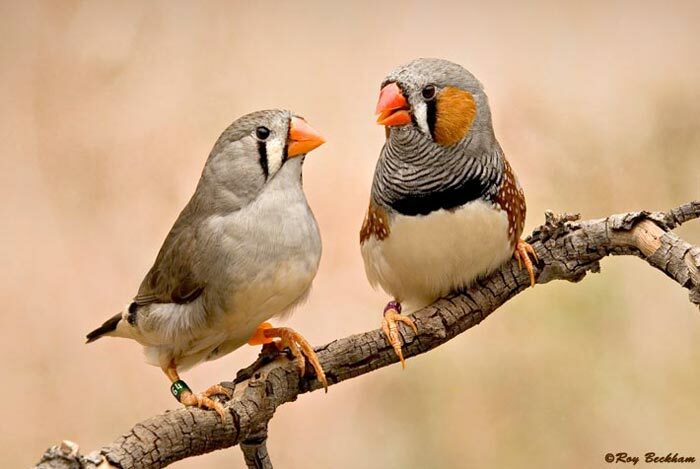 In order to ensure healthy zebra finch eggs the humidity level must be kept at a constant rate between 50 and 60 percent, ideally 55 percent. In the last 5 – 7 days of incubation the humidity should be increased to between 70 and 75 percent. The next important part of successfully hatching zebra finch eggs is to regularly rotate them. You need to rotate the eggs 8 times per day. Be sure to be extremely gentle when rotating the eggs to avoid injuring the embryos. Also be sure to rotate the eggs 180 degrees one way and the counter rotate them 180 degrees in the other direction. In other words always switch the direction of rotation to avoid overstretching and damaging the connective tissue inside of the eggs. Not rotating the eggs enough will lead to the death of the embryos. 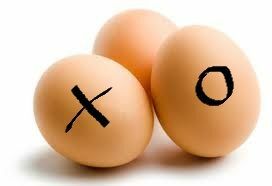 Use an X and an O marking to keep track of which direction you rotate the eggs in. Stop rotating the eggs 48 hours prior to their expected hatching date (hatching should occur 12 – 16 days after the beginning of incubation). Zebra finch eggs are very susceptible to disease and bacteria and therefore the incubator needs to be kept clean and free of contaminants. Never handle the eggs or the incubator without washing your hands first with anti-bacterial soap to ensure that no bacteria from your hands gets on the eggs. Also never get the eggs wet because this may remove the protective layer around the eggs that has the ability to keep germs out. You also need to clean and disinfect the incubator before and after every time you use it. Finally you also need to clean the water bowl in the bottom on a daily basis as water is the number one source of growing bacteria in an incubator. Timing is crucial when it comes to hatching zebra finch eggs successfully. The eggs need to be incubated within 7 days of hatching to ensure that they are still fertile and that the embryo hasn’t gone too long without the proper conditions. Follow all of the steps and tips that we have listed above to ensure success. A normal zebra finch egg will take anywhere from 12 to 16 days until it is ready to hatch. You need to make sure that you have a good incubator as zebra finch eggs are very susceptible to improper conditions. In all reality you should have a professional and high quality incubator to get the job done. 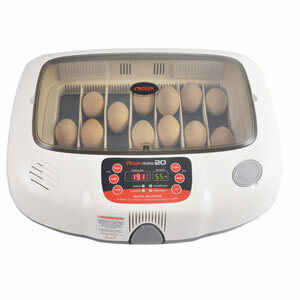 You should have an automated incubator that has built in temperature and humidity dials as well as readers in order to make sure that you get everything right. This means having an incubator with a digital display and control, not one without the proper gauges and manual controls. Remember to get an incubator with all of the necessary components.